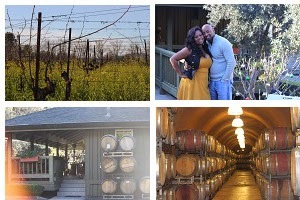 wine country but would like to save a little money, going to Sonoma County instead of Napa is a great solution. Many of the wineries in Napa now charge $10 to $20 dollars for a tasting, which starts to add up if you plan to visit multiple wineries. It can also get pretty crowded in Napa, which can be a pain in the tuchus when you are trying to get in and out on that 2 lane highway. brochure that they will send you in the mail to help you plan your trip. Looks like they recently updated the list, but I would still suggest you check the websites of the wineries you plan to visit or call. Most list their tasting fees right on the website. Many of the ones I checked did still offer free tasting and most of the ones that didn't offer free tasting had only gone up to like $5 a tasting, although some had gone up more. 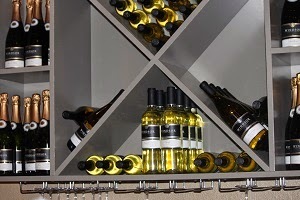 Also at most wineries if you do end up buying a bottle they will take your tasting fee off the cost of the bottle. couple different cites in Sonoma County, but we started in Healdsburg and never quite left the city. Sonoma County is so big and has so many wineries, if you are taking a day trip, I think it is better to just pick one city and explore. Each city usually has their downtown area with a bunch of tasting rooms in close proximity and then their more rural area where you enjoy the beautiful scenery, walk around the property and sometime go on an organized tour. I had big plans on documenting the whole trip and taking pictures of everything so that I can share it with you guys, but somewhere between the 2nd and 3rd winery things started to get a little hazy. lol So, I will share what I have and I promise to do better next time. This was my favorite of the day in terms of experience. They are located in the downtown Healdsburg area. 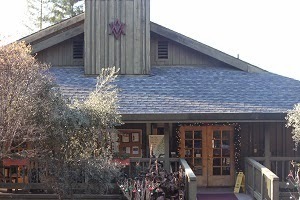 Their employees are super knowledgeable and teach you a lot of about their wines and wine in general. For each wine they not only give you loads of information about the wine but also offer a small pairing to show you what types food goes best with each type of wine. And the tasting was free! If your a nerd like me and want the education experience when you go wine tasting, you should definitely visit Williams Wines. 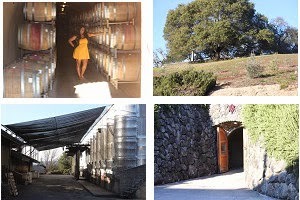 I would almost suggest that you visit this one last so you are not disappointed with other wineries you visit that day. We ended up rushing out of Williams Wines because were trying to get over to Alexander Valley Vineyard to make their last cave tour of the day. We called and they tried to tour it for us a little, but we got a little lost on the way (we passed it without realizing) and by the time we got there the tour had already gone and been going too long for us to join in. 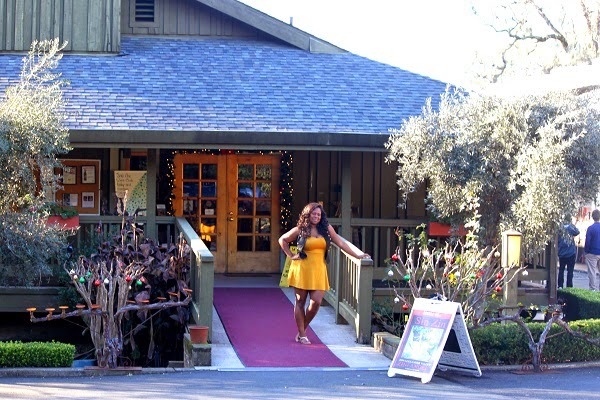 Alexander Valley Vineyard is about 15 minutes from downtown Healdsburg. The people were really nice there. We tasted I believe 6 or 7 wines, they have a couple good Zinfandels. They also have a Gewurtraminer for only $10 that is pretty darn good. We ended up buying it. I like sweet wines, I'm a Moscato, late harvest, port kind of girl and this was the sweetest wine that they had. The people were so nice and sweet they made us want to buy something. The guy even threw in a cork opener for free. After our tasting we went outside to look around and was looking around by the caves taking pictures. The guy who had done our tasting saw us out there and was nice enough to take us on a impromptu tour of the caves. So we ended getting to go anyway! They had excellent service and the tasting was free! Can't beat that. We ended up visiting here because I had told the people at Williams Wines that I liked sweet wines and they told us that this place had a sparkling wine, Risque, that we should try. 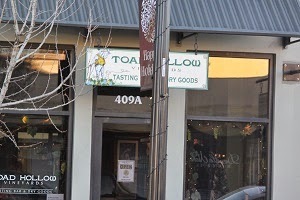 So after we left Alexander Valley Vineyard we headed back downtown to the Toad Hollow tasting room. The tasting was $8 per person, you taste 10 different wine and like most wineries they will take off the cost of one tasting for each bottle you buy.We ended buying the Risque. It was nice and sweet but not super sweet (even though I don't mind super sweet lol). It also makes the excellent momosas, yummm. I honestly don't remember a whole lot about this places because I was a little inebriated by this point, but what I do know if they had my favorite wine of the day. Their Moscoto was sooo delicious. Not only did I revisit it a couple times, during the tasting, but we of course had to take a bottle home. I'm super excited to be hosting this link up. 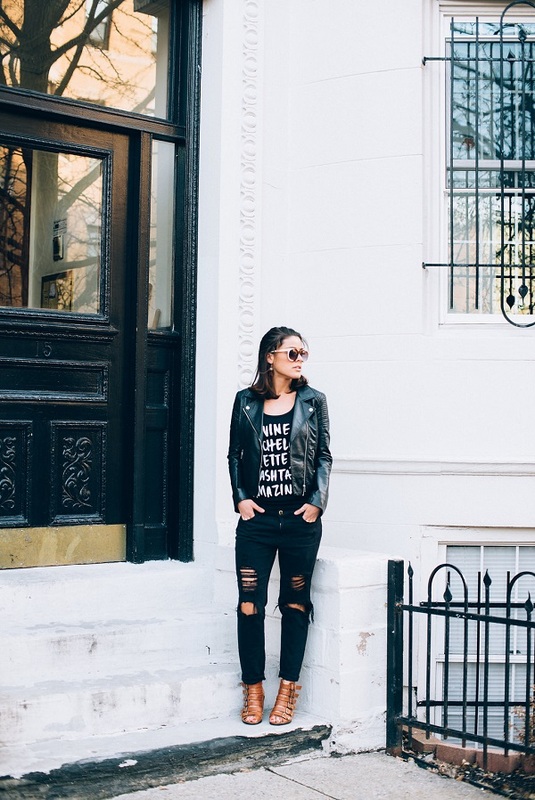 This link up is meant to be a way for bloggers to share their person style, connect with other bloggers, and gain new followers. Bloggers can submit a link to one of their fashion posts using the Inlinkz widget below. I will share a couple of my favorites on social media and in a blog post. Link up will open on Monday and remain open throughout the week. Free + Wine = Win!! Sounds like a fun time! OMG I love A LA Plage and I adore that dress! Way to go on the feature girl! Yes, I fell in love that dress and shoe pairing that she was wearing soo pretty!! OMG - thanks for the feature!! That is so sweet! Make sure to link up with us on Wednesdays! You are welcome! You absolutely deserved it! Thanks for linking up!! 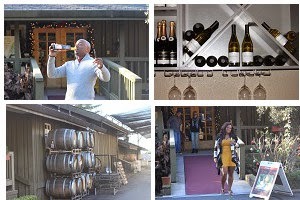 These wineries or shops sound amazing! Our local winery closed, sadly!